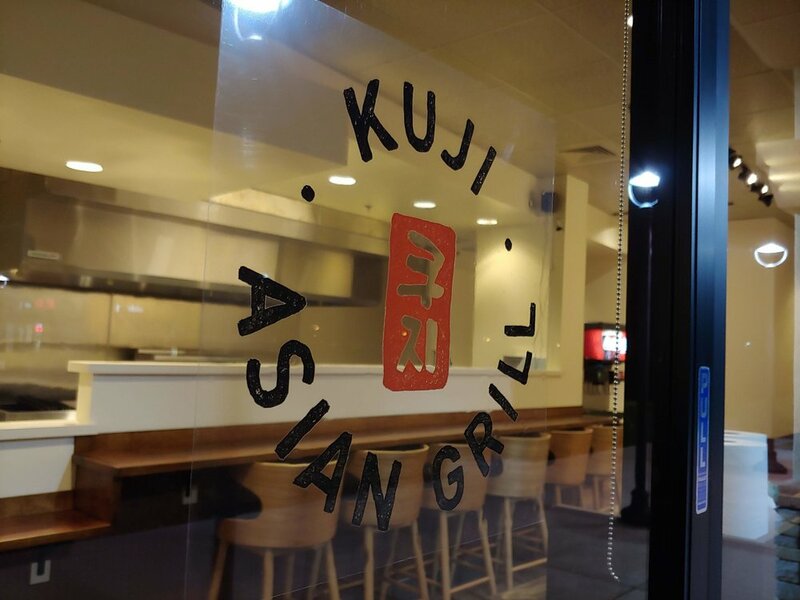 Kuji opened in January 2019 and is located in Gibson Plaza next to Pioneer High School and Woodland Community College. Since then, chefs Suji and Kai have been sharing their interpretation of classic dishes from Korea and Hawaii. Kuji offers a casual eating space with outstanding food. The open kitchen lets you be a part of the action as all of your food is carefully and lovingly prepared. Feel the heat of the grill as Kalbi marinated shortribs hit the fire and listen to your rice crisp in the hot stone-pot bibimbap. The chefs love to "talk story" and want to hear about what's going on with you! Kai grew up in Davis, California, where he realized his true passion: eating. This eventually led him to attend the Culinary Institute of America in Hyde Park, New York. He then moved to the Big Island of Hawaii, started working for the Hilton Waikoloa Village, and met his wife and co-chef owner, Suji. 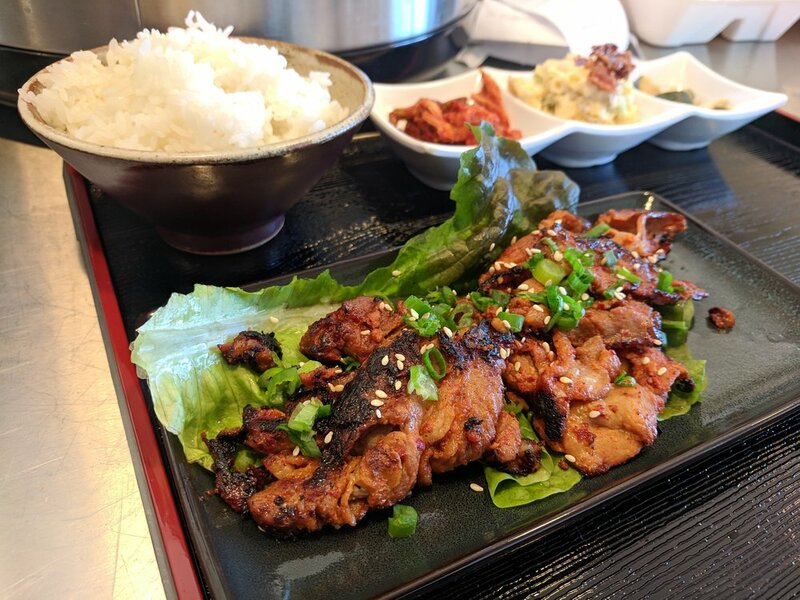 Suji is a native from the bustling port city of Busan, South Korea, raised in a restaurant family, where she spent much of her youth in the kitchen, learning to cook from her mother. She attended Kyungnam College in Busan where she obtained her Certificate of Professional Korean Cooking along with her degree in Culinary Arts. 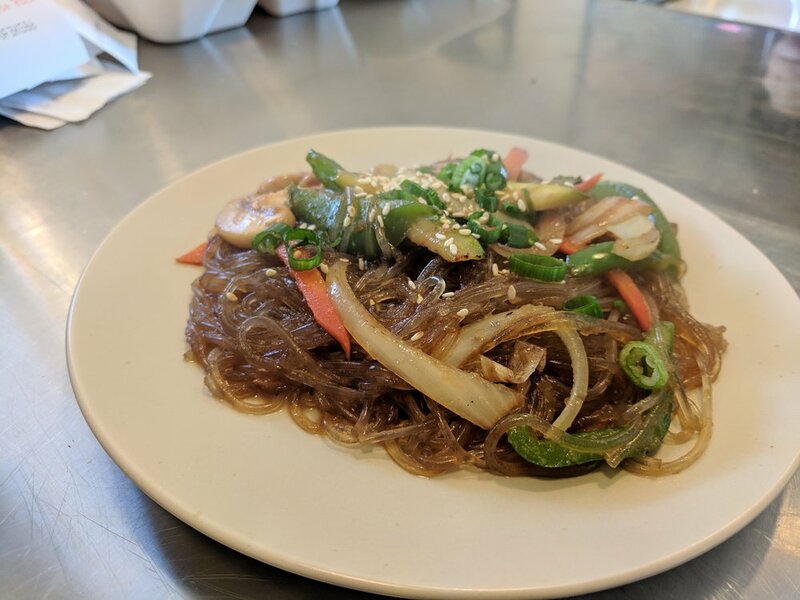 In 2019, they started Kuji together, realizing their dreams of sharing their interpretation of classic dishes from both Hawaii and Korea.